An extra-large version of an old favorite! 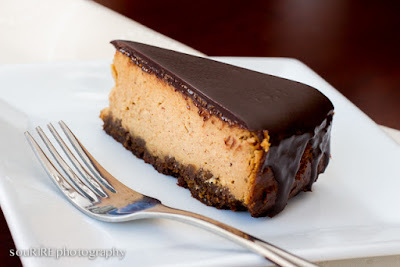 Do you remember when I told you how much my fam jam and I love any and all peanut butter combos in this post right here? Well, I wasn't lying... And no matter how much we all enjoy the new creations we dream up and create, we do have an old favorite that we keep going back to again and again and again - Peanut Butter Balls. I have made that recipe so often that over time I've gotten it just right ;) but that's not to say there's no room for improvement! In previous stabs at this delectable little concoction I've managed to find the best ingredients, proportions, and methods to get the best result, but there's something to be said for the old adage "bigger is better." I normally use 1 tablespoon of peanut butter filling for these guys, but this time around I opted for an ice cream scoop, upping the filling to 1/4 cup! 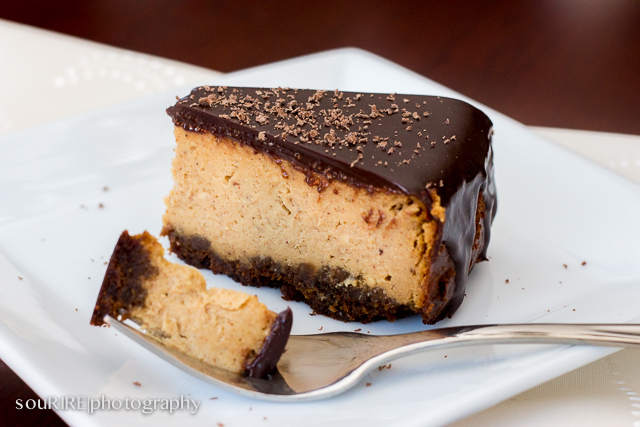 - In a large microwave-safe bowl, combine peanut butter, butter, and vanilla. Microwave on high for 30 seconds. Stir to combine. - Stir in puffed rice cereal and salt. 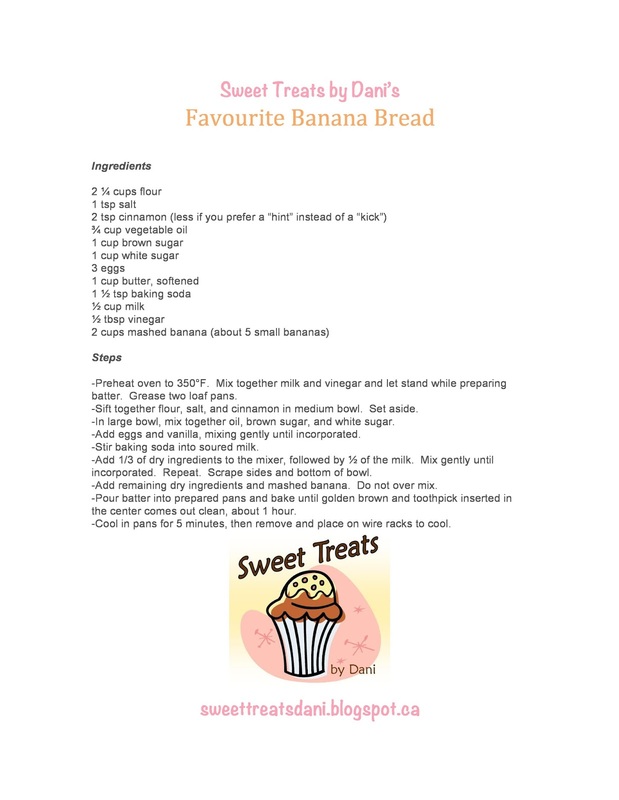 - Add icing sugar in stages until filling reaches dough-like consistency. Refrigerate for 15 minutes. 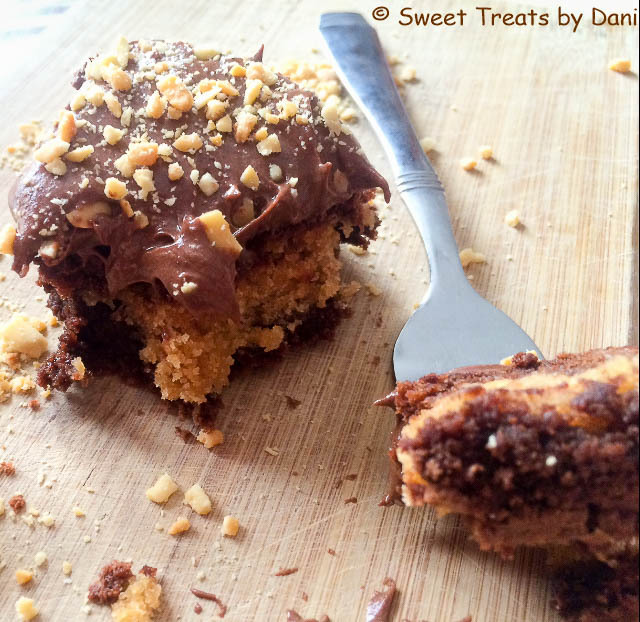 - Using an ice cream scoop (1/4 cup), scoop filling onto parchment-lined cookie sheet. This recipe made 14 for me. Place in freezer for 30 minutes. 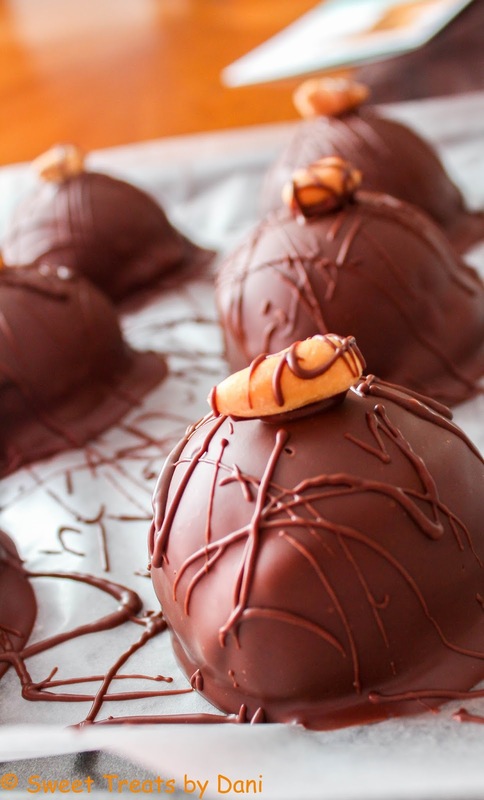 - Remove scoops from freezer and set aside while you melt together chocolate and shortening in double boiler. - Using two forks, dip each scoop into chocolate and place back on the parchment-lined cookie sheet. Place one salted peanut on top of each scoop right after its been dipped. 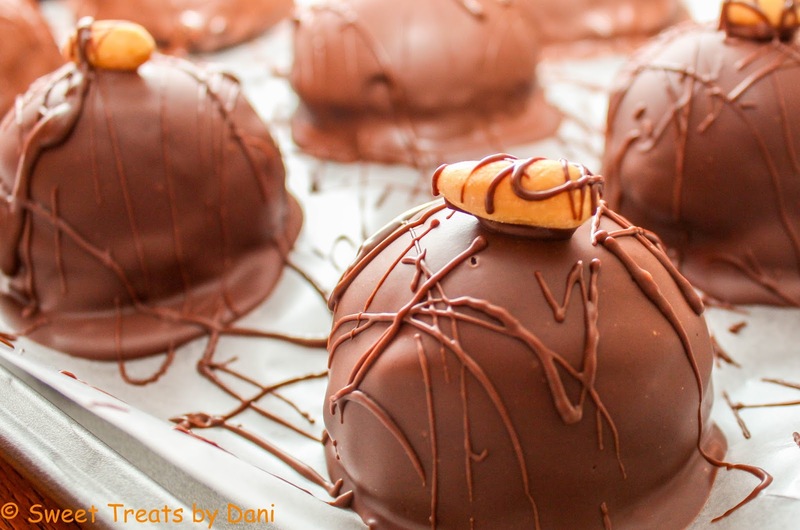 - Using your fork and the remaining melted chocolate, add some decorative chocolate splatter on top of the peanut butter bombs. 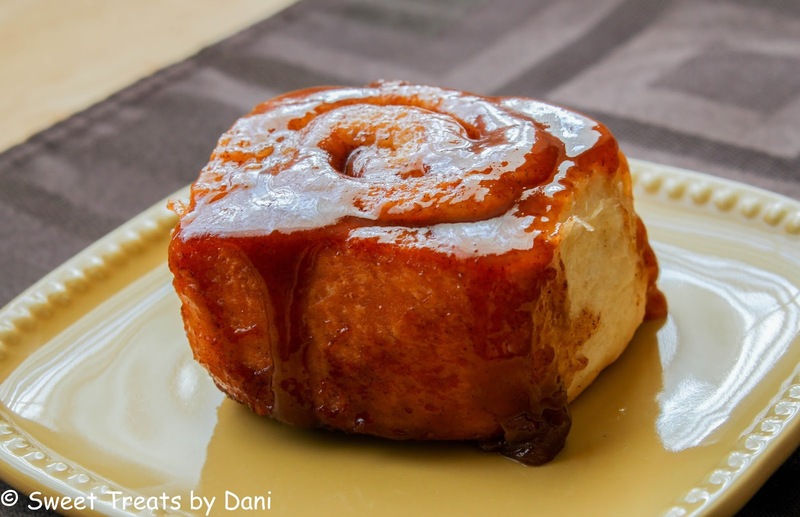 Cinnamon buns seem to be one of those things everyone likes. I don't think I've met anyone who can say they dislike cinnamon buns. I mean, it's a sweet and spicy filling surrounded by fluffy dough... What is there not to like? - It was ridiculously humid the day I made these and I think that had a huge effect on the elasticity, or lack thereof, of my dough... Let's just say I got my arm workout in that day. On the same note, if you have a stand mixer with a dough hook, use it! 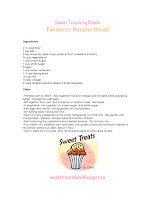 - I have made this recipe with both regular and quick rise yeast. I prefer the regular yeast. It may take more patience, but it produces are much more delicate finished product. 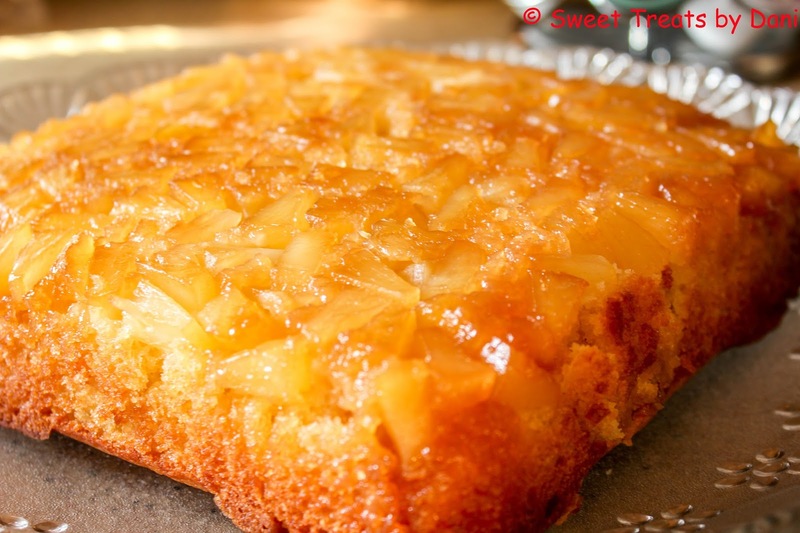 - Make sure not to cook the butter and brown sugar for the topping. You just want to melt it, as rising the temperature too much will change the consistency of the caramel once it cools. - In small saucepan over low to medium heat, warm sugar, milk, butter, and salt until butter is melted. Heat to 120-130°F (drinkably warm, if you don't have a thermometer). - Mix together flour and yeast in large bowl. Add warm liquids and mix with wooden spoon. - Add beaten eggs and mix until dough is soft, slightly sticky, and comes away from the sides of the bowl. - Turn out on to lightly floured surface and knead for 7-10 minutes, until dough is smooth and elastic. - Place in greased bowl, cover with towel, and let rest 10 minutes. Dough will not rise at this point. - Roll out dough to 18'x14' rectangle. - Brush with melted butter, leaving 1/2" border. Reserve remaining melted butter. 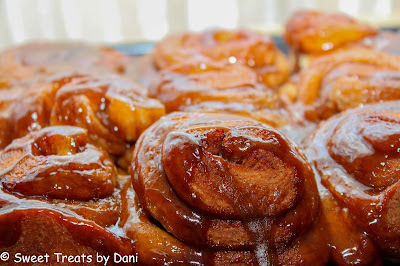 - Mix together brown sugar and cinnamon in small bowl. Sprinkle over the buttered surface. - Roll into a tight log along the long edge. Pinch seam together. Brush reserved melted butter on top and sides of log. - Prepare topping (see below). - Cut into 15 equal slices and place cut side down into pan. - Let rise for 1 hour. Should double in size. - Bake at 375°F for 25-35 minutes or until golden brown. - Let stand in pan for 3 minutes then invert on serving platter or ridged cookie sheet. 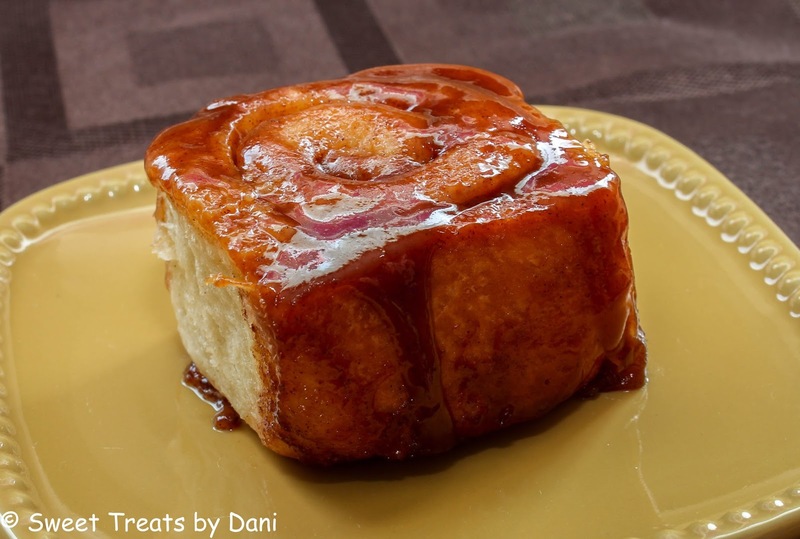 Scrape any remaining caramel from baking dish onto the cinnamon buns. - Melt butter and brown sugar together in small saucepan over low heat. - Pour into 9"x13" baking dish. 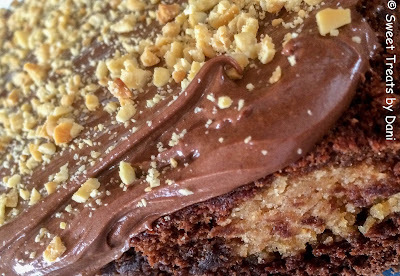 Move over "Plain Jane" brownies, there's a new "Queen B." in town! 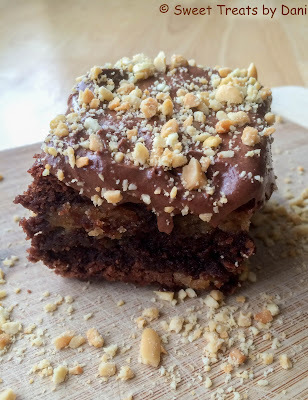 I have professed, often and loudly, my love for brownies here on the blog and anyone who has perused my past recipes would have picked up a somewhat blatantly obvious adoration for any possible chocolate and peanut butter combination. What you probably wouldn't pick up on is that this pure love of brownies, chocolate, and peanut butter is a family thing, meaning my dad, my brother, and my son also love this addictive combination. (My mom is on the fence about it, so we are on the fence about her... Joking mother!) So it goes without saying that when we are all together there really is no other option for sweet treat flavor combos. 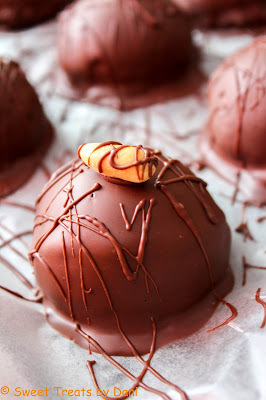 If you'd like to check out some of our past chocolate and peanut butter sweet treats, click here. Now on to the details behind the new "Queen B." of the brownie world - a chewy brownie made with 6 ounces of semisweet chocolate filled with pockets of barely baked peanut butter cookies slathered in a dreamy peanut butter chocolate frosting and sprinkled with crushed salted peanuts! Are you hooked yet? 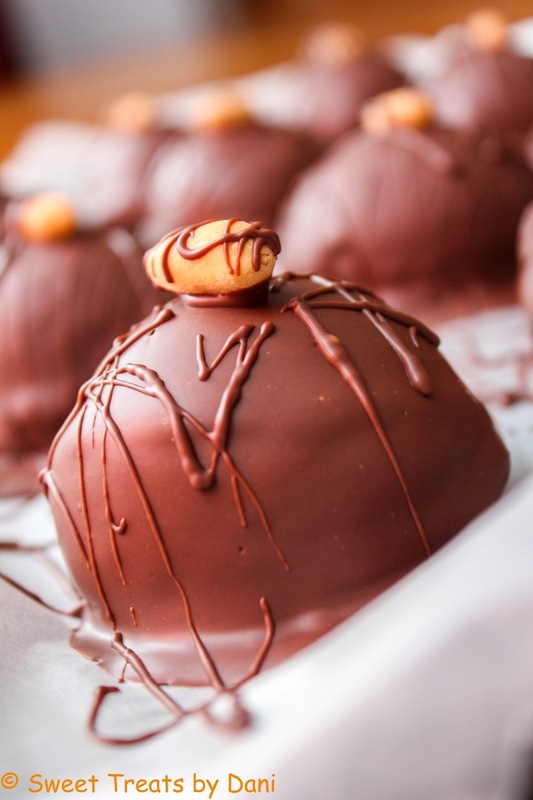 There are a few steps involved and it takes great restraint to not eat the batter and lick every utensil you use along the way, but it will be well worth it when you take an all-encompassing bite of the finished product :) So dive in and give them a go, you'll be glad you did! - Mix together butter, sugar, brown sugar, milk, and vanilla. Stir in peanut butter. - Add flour and baking powder. Mix until incorporated. Cookie dough will be loose. - Refrigerate 15-30 minutes, until firm and can be rolled into balls. 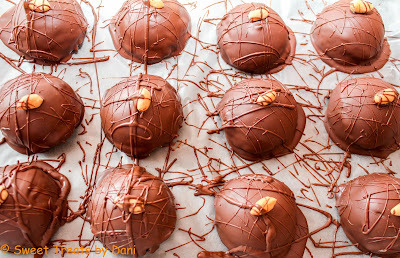 - Roll chilled dough into balls (1 tablespoon per ball); you should get 11 total. Place on cookie sheet lined with wax paper and freeze for 30 minutes. - Line 8"x8" baking pan with foil and coat with spray oil. Preheat oven to 325°F. 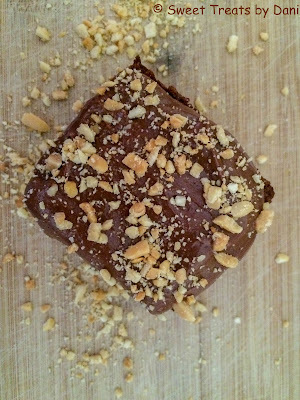 - Melt chocolate and butter together in microwave-safe bowl at 25 second increments, stirring well after each interval. Set aside. - Beat eggs, sugar, salt, and vanilla with hand mixer until pale. Stir in melted chocolate and butter. - Gently fold in flour, mixing just until no white streaks remain. Do not over mix. - Pour batter into prepared pan. - Remove peanut butter cookie dough balls from freezer and place 9 of the balls in the brownie batter, evenly spaced. Cut the last two balls in half and fill any voids in the batter. - Bake for 45 minutes, or until a toothpick inserted near center comes out with some sticky batter remaining. - Let cool in pan for 5 minutes then, using the foil edges, lift the brownies out of the pan and let cool completely on cooling rack. 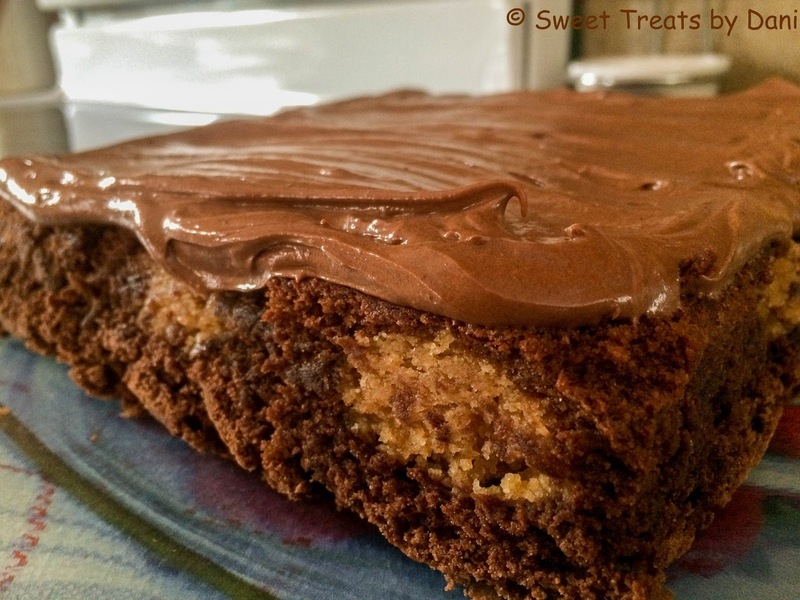 - With hand mixer on low, mix together butter, peanut butter, cocoa powder, and vanilla. - Add icing sugar gradually. *To have a smooth surface to spread the frosting over I inverted the brownies onto a platter and spread the frosting over the "bottom" of the brownies. 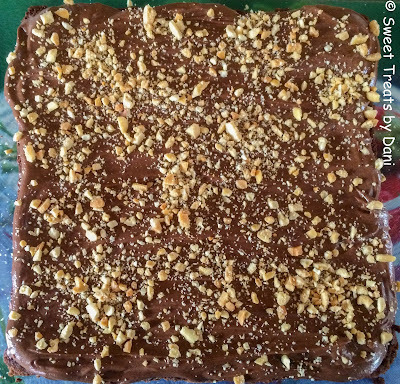 - Sprinkle with 1/4 cup crushed, salted peanuts. 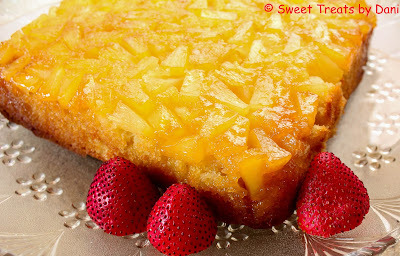 Pineapple Upside-Down Cake has been one of my favorite desserts since I was a kid. 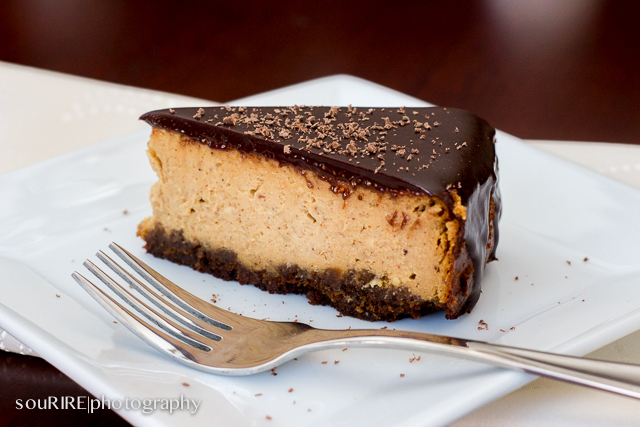 It is a go-to recipe that I turn to whenever I need something easy, pretty, and delicious. I don't remember the first time I made this cake on my own, but I am sure I was young and didn't have much in the way of baking know-how. Since then I've picked up a thing or two and have been able to improve on my mother's "old faithful" recipe from an old Cream of the West cookbook. Another little issue I had with the original recipe was that it called for shortening as the fat. Now I am not against using shortening when needed, but why would I use this when there are many more flavorful options? So naturally, I swapped it out for butter :) I added a dash of vanilla and used buttermilk to help in this department as well. -Add melted butter and brown sugar to 9"x9" baking dish. 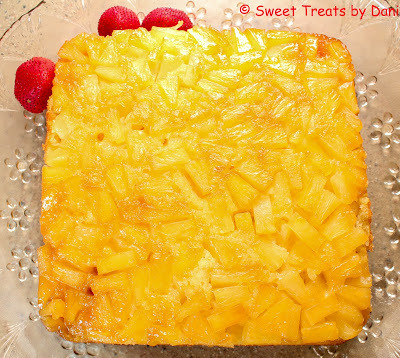 Arrange pineapple tidbits on top. -Sift together flour, baking powder, and salt. Set aside. -In large bowl, cream together white sugar and butter until light and fluffy. 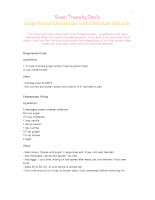 -Add eggs and vanilla, mixing gently just until incorporated. -Add half the dry ingredients and half the milk. Mix just until incorporated. -Scrap sides and bottom of bowl. Add reaming dry ingredients and milk. Mix just until incorporated. 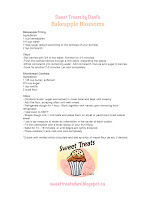 -Spoon batter over pineapple tidbits and carefully smooth top. Bake for 40-40 minutes or until a toothpick inserted in the middle of the cake comes out clean. Let cool 5 minutes in pan then carefully invert onto your serving platter. 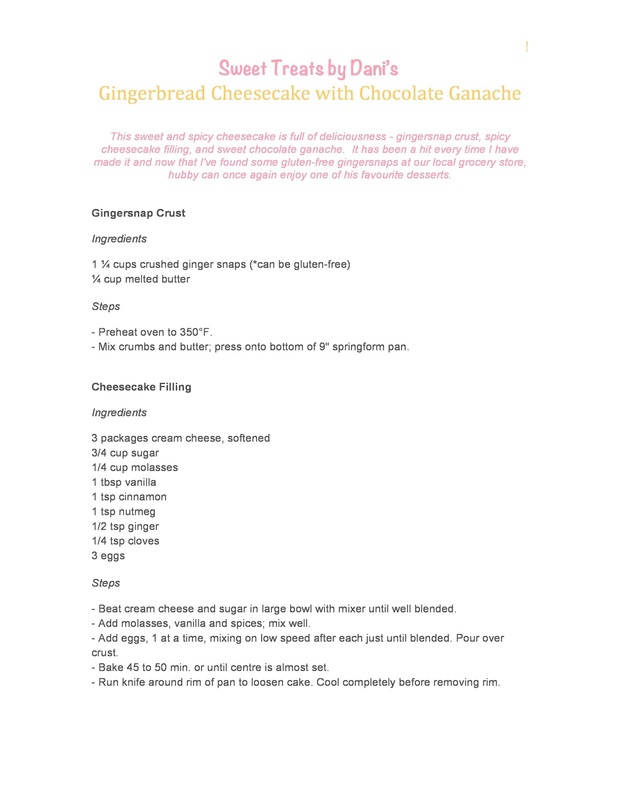 *Garnish with strawberry preserve, toasted coconut, and crème chantilly (vanilla whipped cream). 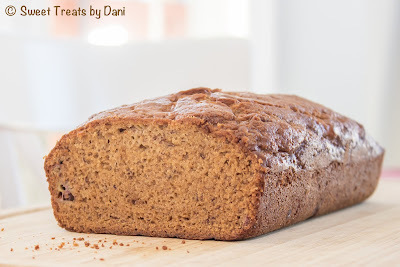 Moist, delicious banana bread that is a definite crowd pleaser! I like bananas. 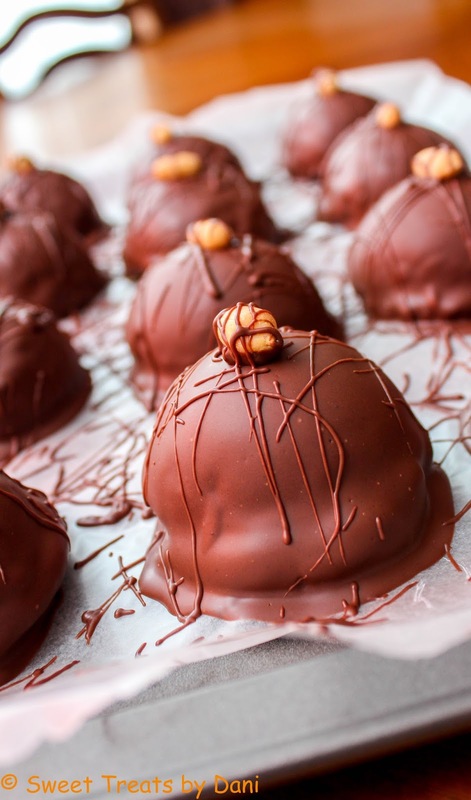 They're healthy, easy to pack in a lunch box, remind me of warmer climates when it feels a new ice age is beginning, and they are one of the most versatile baking ingredients you can get your hands on. Seriously, everything from banana breads, to cookies, to cakes, to burritos and everything in between! -Preheat oven to 350°F. Mix together milk and vinegar and let stand while preparing batter. Grease two loaf pans. -Sift together flour, salt, and cinnamon in medium bowl. Set aside. -In large bowl, mix together oil, brown sugar, and white sugar. 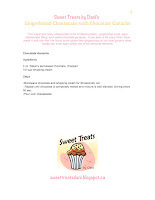 -Add eggs and vanilla, mixing gently until incorporated. -Stir baking soda into soured milk. -Add 1/3 of dry ingredients to the mixer, followed by ½ of the milk. Mix gently until incorporated. Repeat. Scrape sides and bottom of bowl. -Add remaining dry ingredients and mashed banana. Do not over mix. -Pour batter into prepared pans and bake until golden brown and toothpick inserted in the centre comes out clean, about 1 hour. -Cool in pans for 5 minutes, then remove and place on wire racks to cool. What better reason to dig out your ginger and molasses in June? - Mix crumbs and butter; press onto bottom of 9" springform pan. 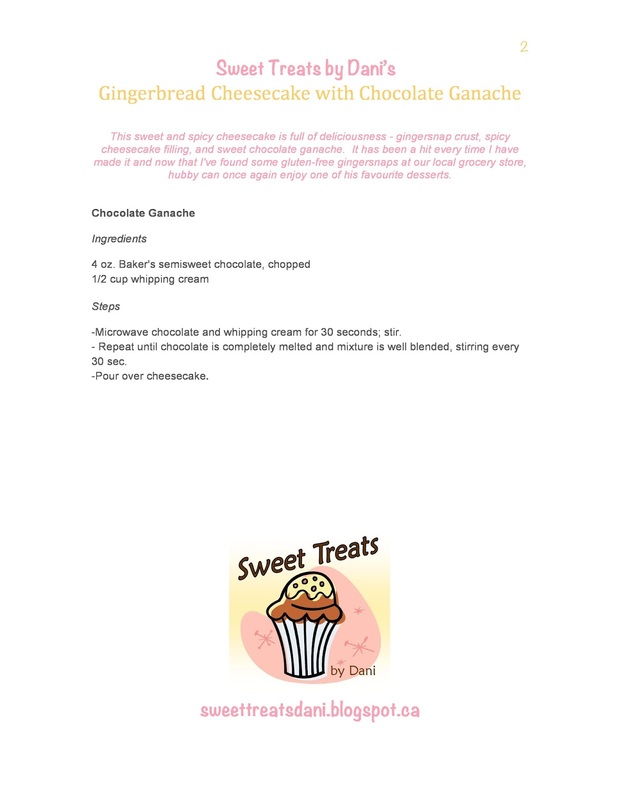 - Beat cream cheese and sugar in large bowl with mixer until well blended. - Add molasses, vanilla and spices; mix well. - Add eggs, 1 at a time, mixing on low speed after each just until blended. Pour over crust. - Bake 45 to 50 min. or until centre is almost set. 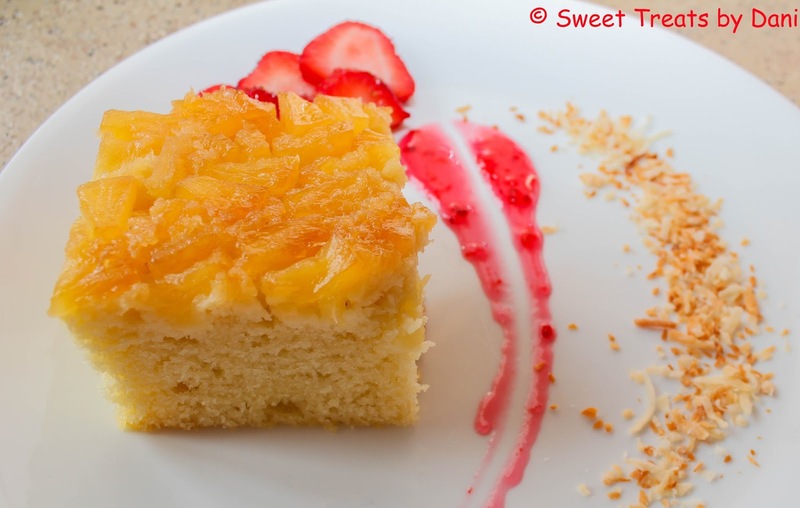 - Run knife around rim of pan to loosen cake. Cool completely before removing rim. -Microwave chocolate and whipping cream for 30 seconds; stir. - Repeat until chocolate is completely melted and mixture is well blended, stirring every 30 sec. An update on a crowd favourite! A simple shortbread cookie filled with a slightly tart bakeapple filling. 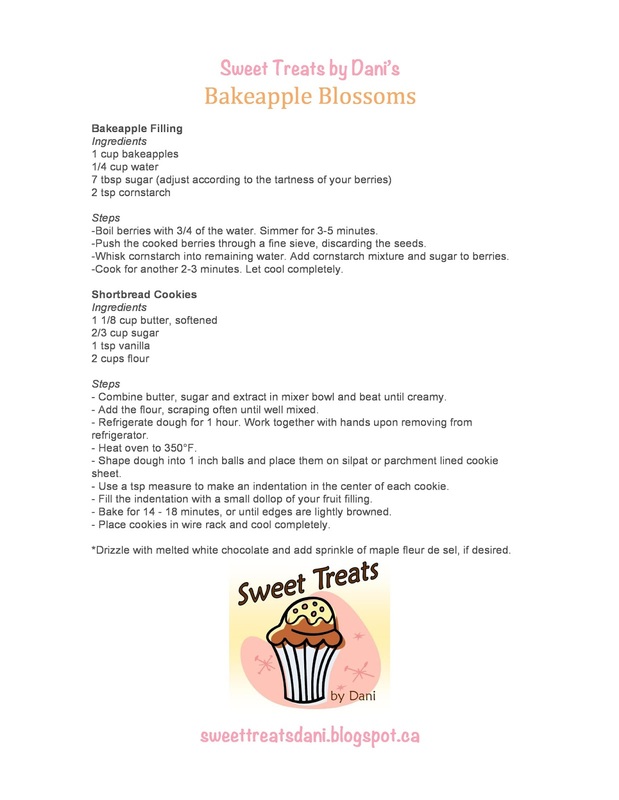 One of the most popular recipes on Sweet Treats by Dani is #51) Bakeapple Blossoms and its one I make over and over and over again. I originally posted the recipe back in 2009 - before hubby was officially hubby, before our little cookie monster was even on our radar, before our first mortgage, and before decent camera gear and photo software. It has always bothered me that such a unique and popular recipe had such mediocre pictures, so I gave Ms. Type A her own way this time. I whipped up a new batch, put on some finishing touches, and snapped some new and improved pictures. What do you think? -Boil berries with 3/4 of the water. Simmer for 3-5 minutes. -Push the cooked berries through a fine sieve, discarding the seeds. -Whisk corn starch into remaining water. Add cornstarch mixture and sugar to berries. -Cook for another 2-3 minutes. Let cool completely. 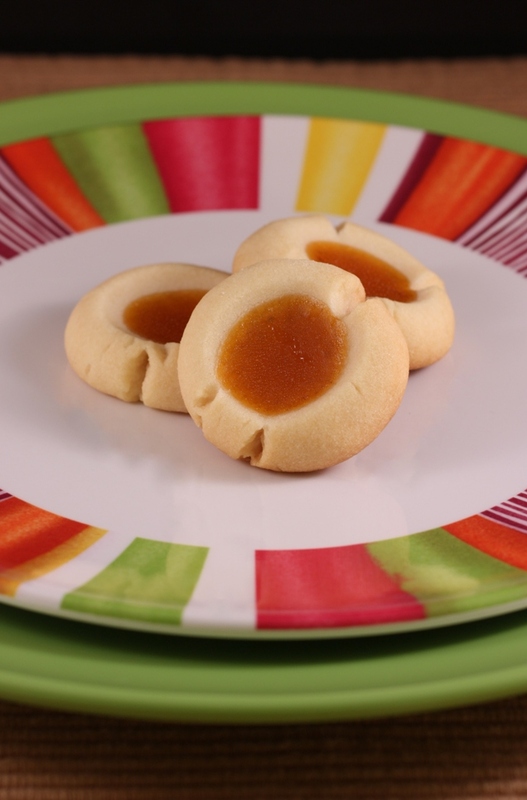 - Combine butter, sugar and extract in mixer bowl and beat until creamy. - Add the flour, scraping often until well mixed. - Refrigerate dough for 1 hour. Work together with hands upon removing from refrigerator. 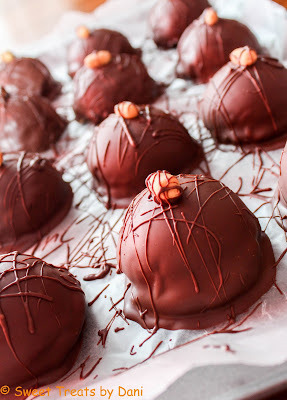 - Shape dough into 1 inch balls and place them on silpat or parchment lined cookie sheet. 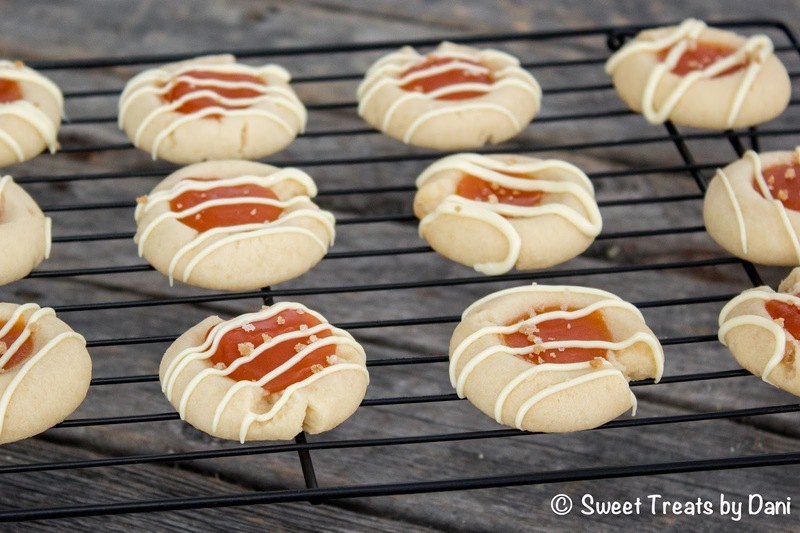 - Use a tsp measure to make an indentation in the center of each cookie. - Fill the indentation with a small dollop of your fruit filling. 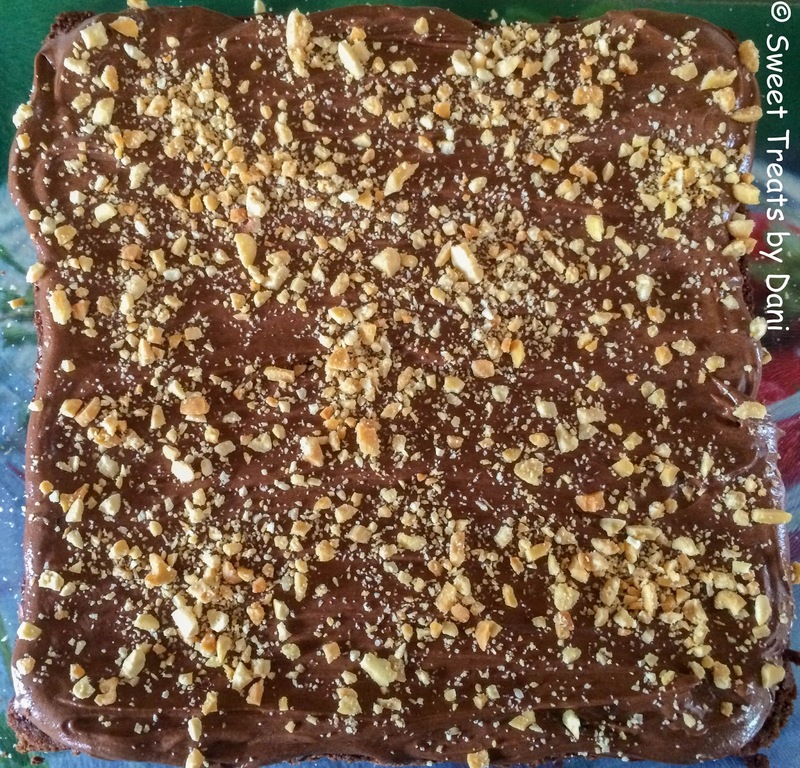 - Bake for 14 - 18 minutes, or until edges are lightly browned. 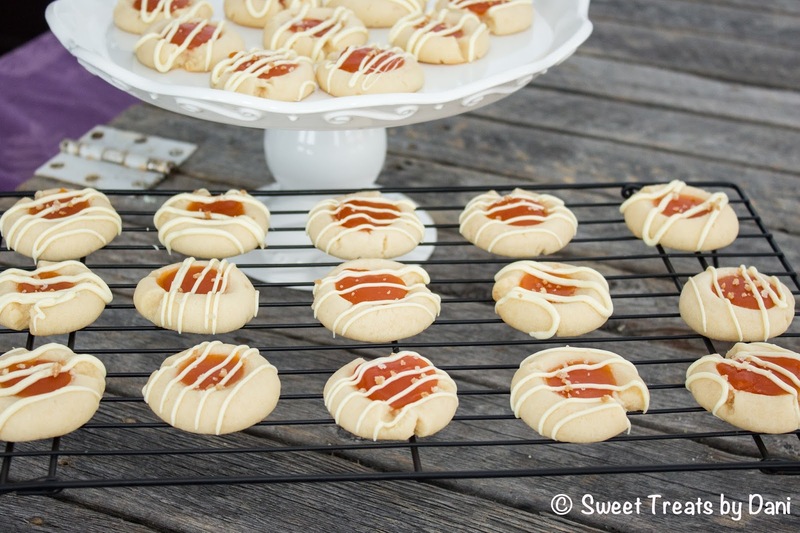 - Place cookies in wire rack and cool completely. 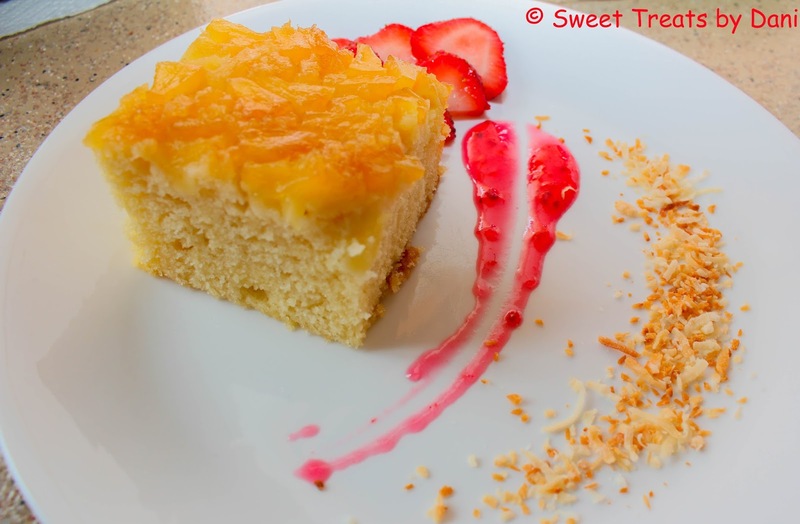 *Drizzle with melted white chocolate and add a sprinkle of maple fleur de sel, if desired.